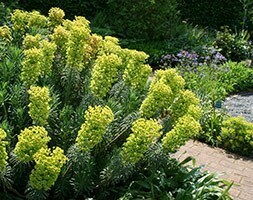 Bowl-shaped, pendent, pale green, flowers hang above leathery, prickly-edged, sea-green leaves from January to March. 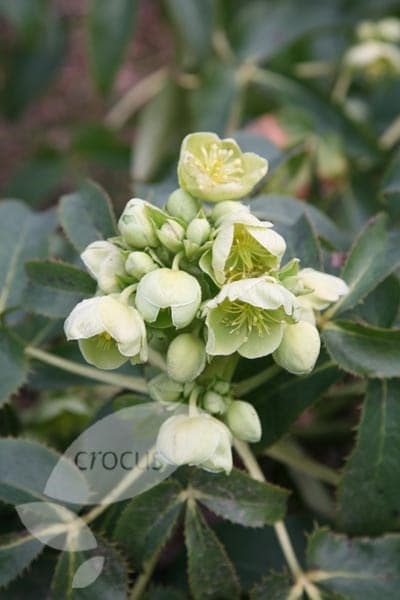 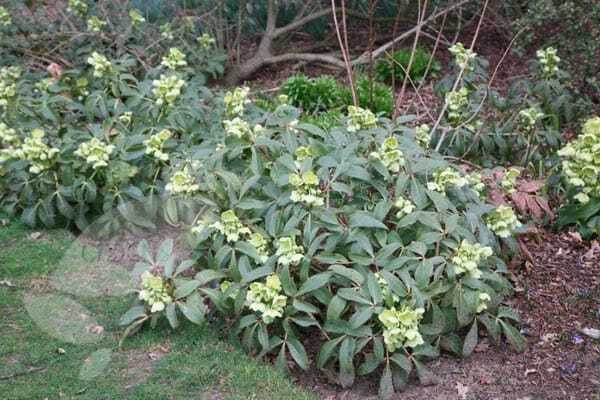 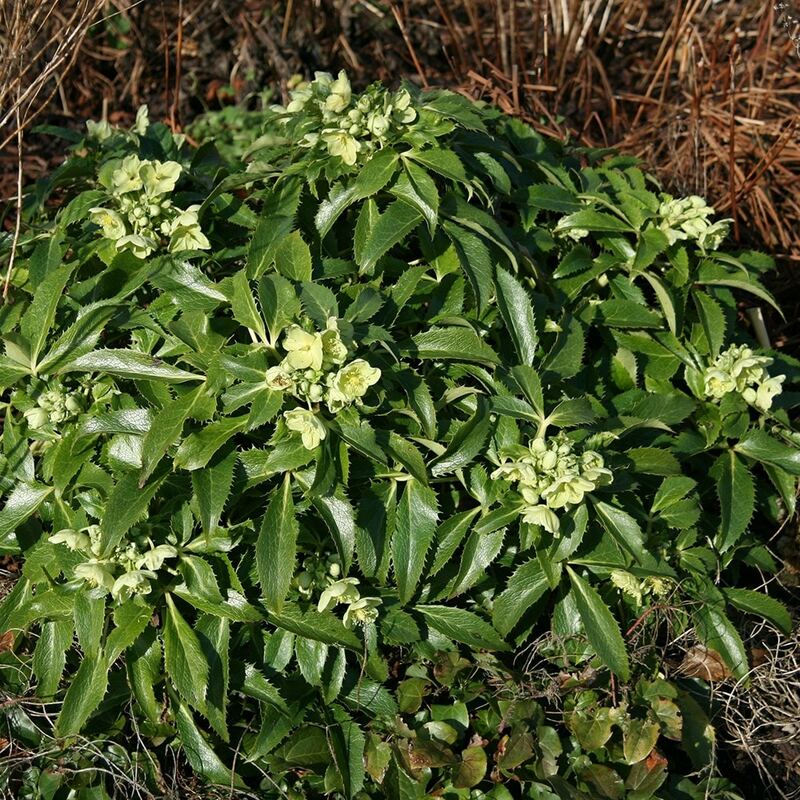 This popular, evergreen, Corsican hellebore makes an architectural statement in the middle of a mixed or shrub border. 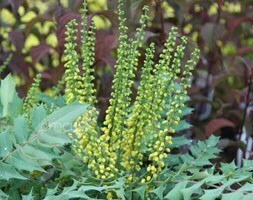 One of our recommended plants, the handsome foliage is a long-lasting source of interest after the flowers have passed. 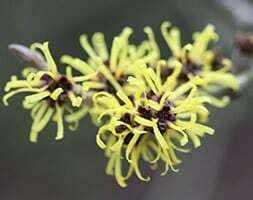 Garden care: Add lots of well-rotted leaf mould or organic matter to the planting hole. 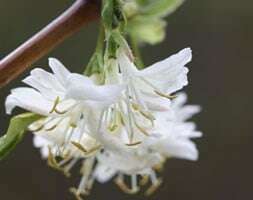 Apply a generous 5-7cm (2-3in) mulch of well-rotted organic matter around the base of the plant in autumn.